Two people were arrested Saturday in connection with the fatal shooting of a Palo Alto man in Las Vegas, police said. The victim was identified as 42-year-old Neil Brian Gandler, who died of a gunshot wound to his torso on Dec. 29, according to the Clark County coroner's office. Kyle Staats, 27, and Megan Hippie, 19, were arrested on suspicion of murder, attempted robbery with a deadly weapon and conspiracy to commit robbery, Las Vegas Metropolitan police said. Staats was also arrested on suspicion of possessing a stolen vehicle, according to police. Gandler was found in a car at the parking lot of a 24 Hour Fitness at 601 S. Rainbow Blvd. last Tuesday, Las Vegas Metropolitan police said. 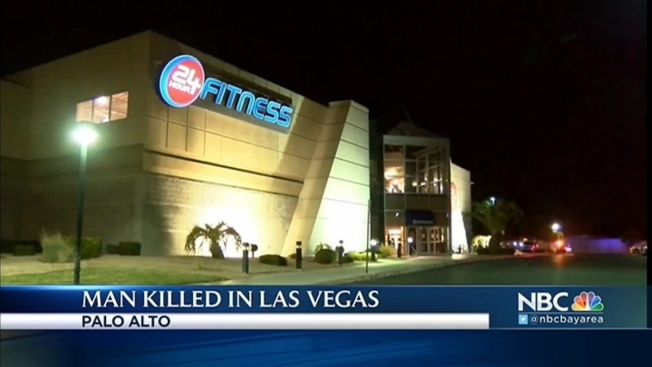 Officers had responded to a report of a male who was in a car and apparently shot at the gym around 1:20 a.m., police said. The man, later identified as Gandler, was found suffering from a gunshot wound and was pronounced dead by medical crews at the scene, police said. Homicide investigators determined Gandler had parked his car at the lot around 10 p.m. on Dec. 28 but did not enter the gym and another vehicle stopped next to him three hours later, police said. About 10 minutes later, Gandler's car went over a parking median and the driver's side window was shattered, according to police. Gandler had worked at Hearware Technology as a product manager for more than 10 years, according to his LinkedIn profile. He previously worked at Dell Inc., Ford and Mobilewise Inc., according to his profile. Gandler obtained his master's degree in business administration from the University of Michigan in 2005. He also attended the University of Buffalo, where he studied electrical engineering and computer science, receiving a bachelor's degree in 1995 and master's degree in 1997, his profile states. Anyone with information on the case is asked to contact the Las Vegas police homicide section by calling (702) 828-3521 or sending an email to homicide@lvmpd.com. Anonymous tips can be made to Crime Stoppers at (702) 385-5555.